Pembroke is one of Ireland’s Leading Independent Business and Commercial Insurance brokers regulated by the Central Bank of Ireland. Our team have a diverse range of expertise and knowledge in the industry and we have gained a reputation for quality of service and value for money. We protect our customer’s interests and ensure you get exceptional prices aligned with quality. We value our reputation ahead of profit and will always put our customers’ needs first. We specialise in the area of arranging insurance solutions such as Business Insurance, commercial insurance at the very best premia. At Pembroke, we thoroughly understand our clients’ needs and their industries. We develop client’s solutions with best markets, price and terms as we identify critical areas of exposure in their business. If you are a new Irish enterprise then our start-up business insurance may be your best option. We acknowledge our clients’ needs for real insurance protection when things go wrong whether this is due to legal actions for accidents or property damage. Our approach looking after our client’s interest is second to none purchasing a tailored insurance programme to suit their needs or continue to provide valuable quality service throughout the insurance year. We have the ability to deliver competitive packages utilising our market knowledge developing clients solutions no matter how small or complex the risk maybe. Our team of experts are on hand to help develop such solutions as we thoroughly understand your needs and industries. Whether you are the owner of a new shop or looking for expert advice on shop insurance we at Pembroke can provide the correct advice aligned with creating a suitable package to meet your requirements and exposures. We accept premium saving is of paramount importance in the current climate. We have partnered with a number of shop insurers who can develop this suitable product for your needs with a combination of the lowest price and broadest coverage available. This is a critical part of the service we offer on our Shop / Retail policies. Accidental damage cover on property. We provide All Risks Insurance including subsidence as standard on our packages. We provide cover for €13,000,000 standard limit of indemnity. This insurance covers your legal liability to employees. We can provide cover for up to €6,500,000 limit of indemnity. Professional Indemnity Insurance provides protection for you against any claim for which you may become liable, arising out of your professional conduct, neglect, error or omission. Consequential loss / Business Interruption cover. We can protect the financial future of your business by covering the loss of profits or increased cost of working following a loss under your property policy. Public & Products liability cover. We can provide cover for up to €6,500,000 limit of indemnity. This insurance covers your legal liability to the public including where applicable cover for goods sold or supplied. 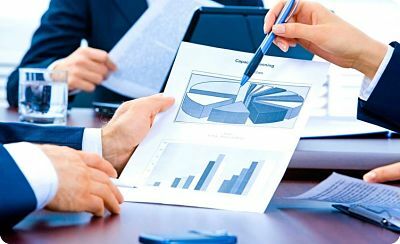 We can provide financial protection for the directors and officers of your company in the event they are sued in connection with the performance of their duties in relation to the company which is covered by our insurance policy.